How to generate more attention to support a new product launch to ensure your enthusiasts can find your product in the crowded retail environment? Adidas had just launched its new golf shoe, but was not seeing the excitement or sales anticipated immediately after launch. After careful review, Adidas realized the traditional corrugated display holding the shoes was simply not grabbing enough attention. 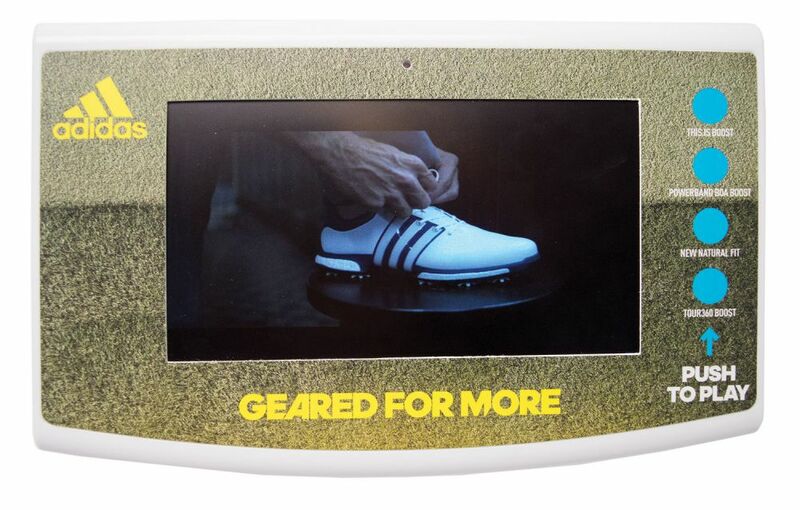 Americhip partnered with Adidas to enhance the displays with our Video Display Headers to grab attention of the golf enthusiasts and introduce them to the new shoe. 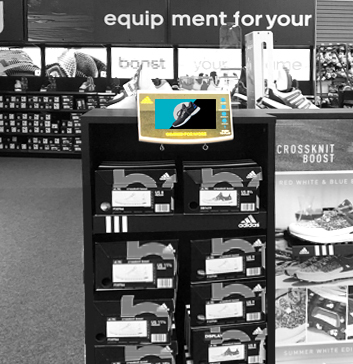 We used a motion sensor to trigger an attract video as shoppers approached the display and then loaded 4 videos to engage customers by highlighting the performance, style and fit of the new shoe. 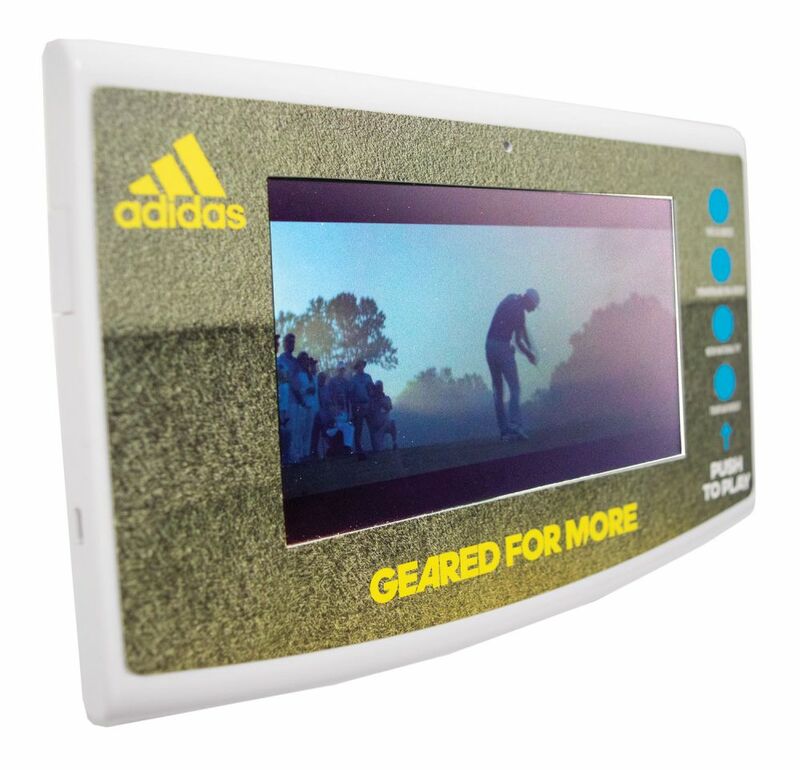 Don’t let your consumers just walk on by, grab their attention and convert shoppers into buyers with our Video Display Headers.